Does this sound like good advice to you? Hire an engineer to evaluate all foundation cracks? It doesn't sound like good advice to me. Yet, that's the advice given in a recent article in a trade journal for home inspectors, written by an insurance company. Home inspector insurance companies have a lot of influence in the home inspection profession, and they're making home inspectors paranoid. They're making home inspectors afraid to do their jobs; at least meaningfully. I think that if insurance companies had their way, home inspectors would call for further inspection of every single component in the home. This article was about foundation cracks and foundation damage, and it seriously said that the size of a crack doesn't matter. I wish that this was an attempt at cheeky humor, but I'm pretty sure it wasn't. Are all cracks really the same, regardless of size? Let's take a look at a couple of examples. Take the crack below, from a recent inspection. This is a big crack in a foundation wall, and our inspector recommended repair to help stabilize the wall. Our inspector also theorized that this was the result of poor water management at the exterior. He didn't definitively conclude this, but that was his best guess. It's a good guess, and he gave some recommendations about what to do at the outside. I'm pretty confident in his guess, and his recommendations were sound. 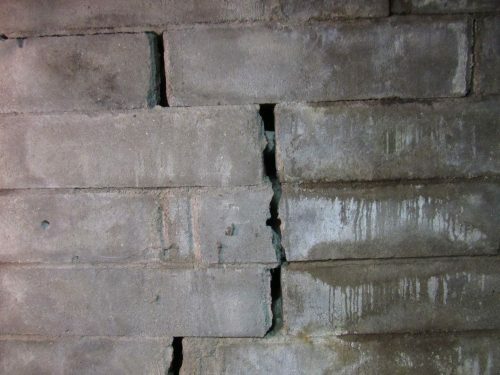 For this next crack, you're looking at one of the foundation walls at my own house. This occurred at one of the 'steps' in the foundation wall of my 20-year-old home. It's unusual to not have cracks at that location. Now get ready to gasp and clutch your pearls: I didn't pay any mind to this crack when I bought my house. 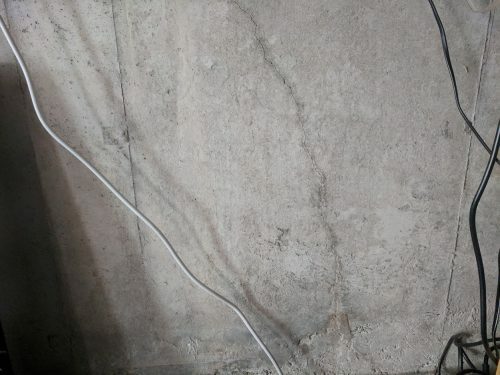 "There was a relatively small vertical crack in the poured concrete foundation wall, which is probably attributable to shrinkage and has little structural significance. 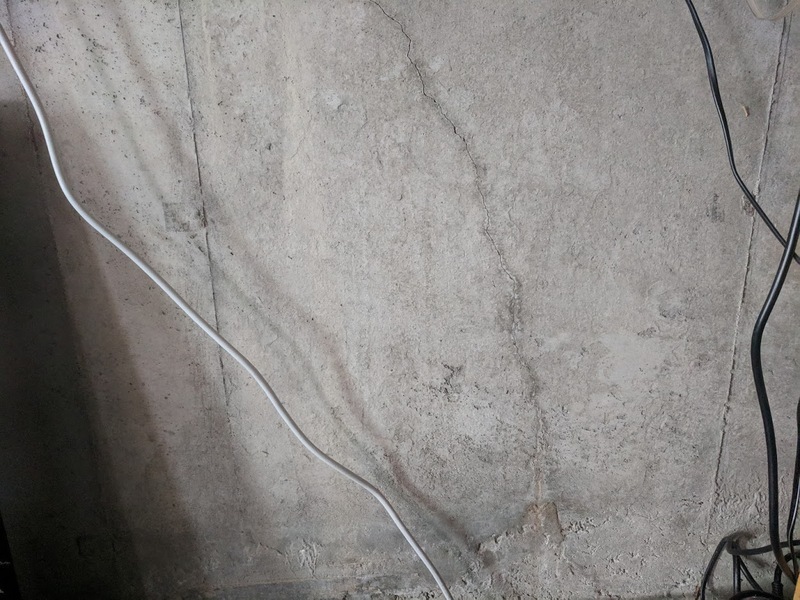 Generally speaking, cracks in poured concrete walls that are less than 1/8" are not considered to be structurally significant. Nonetheless, it should be monitored to see if there is active movement in this area." According to the same article, this proper thing to do would have been to invite my client to "seek further evaluation by a structural engineer." Of course. What else would an insurance company want us to do? My problem with this is that it provides zero value to my client. All it does is protect me and my insurance company. Show me a home inspector who is only concerned about their own liability, and I'll show you a worthless home inspection report. I'm a member of the American Society of Home Inspectors (ASHI), and I follow the ASHI Standard of Practice (SOP) for home inspections. Here's what my SOP says about my responsibility to report things like cracks. I added the bold. When I find cracks in foundation walls that, in my professional judgment, are not significantly deficient, I will tell my client as much. I will not make a recommendation for further evaluation. This does not mean that I am certifying the foundation as structurally stable, nor am I offering an opinion about the adequacy of structural systems or components. I'm simply doing what the client is paying me to do; share my professional opinion. So what's the conclusion? I don't know. I guess I'm kind of ranting because I got whipped up when I read this article. I believe that if home inspectors want to limit their own liability, they need to start by protecting their clients. I'm of the opinion that making recommendations for structural engineers over every little crack is not in the best interest of our clients. What do you think? Please chime in with your thoughts, and leave a comment below.